The lists below are archival sources that I will be studying over the next two years. Significant portions of the archival resources I am working with are housed at the San Francisco Freedom Archives, the Southern California Library, the DePaul library special collections, and my bookshelf. The majority of the project, however, will be based in oral history methods. This post centralizes materials that I’ll be looking at from the San Francisco Freedom Archives. Some titles above each blurb contain hyper-links to their incredible digitized collections. The summaries below are merely copy-and-pasted from the Freedom Archives website; so, credit for this post should ultimately go to them. Take some time to check out their stuff. Freedom Archives is an invaluable resource for scholars, activists, or just genuinely curious people interested in studying revolutionary liberation and freedom struggles of the late-twentieth century, as well as in the first decade of the 2000s. The modern movements for prison abolition and against inhumane practices and conditions reached an initial high peak of struggle and mass militancy during the 1970s, with rebellions and protests at many prisons nationwide, the writings and example of George Jackson, and the historic rebellion at Attica State Prison. This collection includes a wide range of publications grown out of this ongoing movement. This collection contains the prison publications Anvil, Arm the Spirit and The Outlaw. These publications were fueled by the modern prison movement and the growing mass militancy of the 1970s. This collection also contains the newsletters of the Western Prison Project, now known as Partnership for Safety and Justice, based in Portland, Oregon. They focus on prison activism and the criminal justice reform movement in the Western United States. This collection also contains copies of the LA Prison Times. The purpose of the LA Prison Times is to provide a common platform to represent the diverse L.A. Organizations doing critical work around criminal justice issues, educate the public around these issues and voice ideas for action and solutions. The Insurgent was the newsletter of the Committee to Fight Repression based in New York City. The goals of the committee are to analyze the state’s counterinsurgency strategies; to define a program that more effectively fights against repression; and to build support for captured revolutionaries. N.A.P.O. was a revolutionary nationalist cadre organization. Its members were imprisoned nationals of the colonized nation — New Afrika. It was committed to raising the awareness of all our people towards the political, economic, and socio-cultural forces which serve to oppress and exploit us, and which seek to maintain the subjugation of the nation. In addition to other materials, this collection contains a complete set of the periodical Vita Wa Watu. From the mid 1970s, The Statesville Prisoners Organization and New Afrikan Prisoners’ Organization attempted to unite prisoner groups at several Illinois facilities. NAPO was formed in 1977 as a way to sharpen collectivity among prisoners and between prisoners and the urban communities from which they came. Within the Illinois prison system, NAPO led study groups, wrote articles, tried to foster unity among disaffected Black prisoners and worked to maintain connections to Black organizing in Chicago and other big cities. Ultimately, NAPO ceased being a prisoner group and became the New Afrikan People’s Organization. This collection contains materials relating to the specific conditions, challenges and struggles facing women in prison. Topics are varied but materials include conference papers, informational materials, legal perspectives and audio recordings. The American Friends Service Committee (AFSC) is a social justice organization of people of faith committed to justice and peace through humanitarian service and political action. It aims to support values of non-violence and justice through the expression of love and divinity of all humans. This collection focuses specifically on the AFSC’s efforts to shut down Control unit prisons in the US, quickly leading to the formation of the National Campaign to Stop Control Unit Prisons (NCSCUP), a subgroup of AFSC members and concerned community members inside and outside prison walls dedicated to putting an end to the inhumane conditions within Control Units. NCSCUP was founded at a 1994 AFSC gathering of organizations and individuals concerned with the growing number of Control units within US federal penitentiaries. The organization focused primarily educational and awareness efforts surrounding Control units violation of the UN Minimum Standards for the treatment of Prisoners and asserted the use of control units as cruel and unusual punishment. The Committee to End the Marion Lockdown (CEML) was a movement organization that opposed control unit prisons in particular, and racism and oppression in general. It was founded in 1985 and came to a close in 2000. Over the course of those 15 years, CEML led and organized hundreds of educational programs and demonstrations in many parts of the country and tried to build a national movement against “end-of-the-line” prisons. Along the way the Committee wrote thousands of pages of educational and agitational literature and pioneered new ways of analyzing and fighting against this national quagmire that morphed into the proliferation of the “prison industrial complex.”Collection includes: Publications on their efforts to shut down the Marion Prison control unit, prevent the opening of USP Florence, CO; protests against toxic water at Crab Orchard Lake; efforts to improve conditions for inmates; efforts to stop the proliferation of Control Units in general; and further human rights and social justice in the US prison system. Political prisoners are people prosecuted for their political beliefs or ideologies, activities, and affiliations with social movements. Political prisoners can be anybody from any race, culture, age, or gender. They are often associated and identified as leaders in organizations or movements opposed to the atrocities committed by the United States government. Some examples of these crimes are the infringement of privacy, police brutality, genocide of indigenous people,forced dispossession of land. The objective of the incarceration of political leaders by the government is to destabilize social movements of resistance. Political prisoners are often given harsh, long term sentences in prisons where they are mistreated on a daily basis. Mistreatment includes extensive periods of time in solitary confinement, denied recreational time, and insufficient visiting time.The primary purpose of mistreatment of political prisoners is to prevent organizing behind prison walls. The government often paints a negative picture of political prisoners by calling them criminals or terrorists in an effort to justify the imprisonment of these people to the general public. Often times when Political Prisoners are being prosecuted, they are charged with other crimes to hide the fact they are being imprisoned for their political beliefs.Their commonality is that they are fighting government oppression and were unjustly prosecuted in an effort to destroy their respective movements. This collection contains materials on political prisoners incarcerated as a result of their participation in the Black Liberation Movement. This collection contains materials on Native American Political Prisoners such as Leonard Peltier, Patrick “Hooty” Croy, Norma Jean Croy, and others. This collection contains materials about women political prisoners and prisoners of war held in the United States and the struggles to free them. This collection contains materials from people imprisoned for their work in anti-imperialist organizations and political movements. The Campaign to Stop Control Unit Prisons was a coalition of individuals and groups inside of prison walls whose goal was to shut down all control units. The coalition was founded at a gathering hosted by the American Friends Service Committee in Philadelphia, PA in December 1994. Towards this end, campaign members were engaged in data collection, education, fostering public awareness and action to put an end to the human rights abuses occurring daily in control units.In addition to mailing containing action items, news and updates around advocacy to end control units, the coalition also held regional hearings in opposition to control units and created an emergency response network to respond to emergencies related to control units and those held inside. Out of Control (OOC) was a self-supporting committee formed in 1987 to organize resistance to the Lexington Control Unit for women. Through connections with other grassroots campaigns, churches and civil rights groups, the 10 women of OOC sought to expose the brutality of this federal penitentiary, culminating in a lawsuit and the closure of Lexington. For 10 years of active struggle the group aligned itself with 25 women political prisoners, provided support work for HIV positive prisoners, and battered women convicted of killing their abusers. The group started the Women Political Prisoners Commissary Fund in tandem with LAGAI, and co-hosted an annual Sparks Fly benefit to commemorate International Women Political Prisoners Day on November 2nd. In 1989 they began publication of Out Of Time newsletter which eventually became an insert to Ultra Violet, LAGAI’s newsletter.he collection covers publications and correspondences from 1987-200, including promotional materials for OOC’s annual Sparks Fly benefit. Many items were scanned on loan and are only available online. Documents from the Special International Tribunal on the Violation of Human Rights of Political Prisoners and Prisoners of War in United States Prisons and Jails. Held from December 7-10, 1990 at Hunter College in New York City, the tribunal brought together activists and organizations from across the globe working on issues of political repression and the human rights of political prisoners and prisoners of war held in the US judicial system. The collection contains information and resources on political prisoners in the United States, statements from political prisoners in the US and the final verdict of the tribunal. Inaugurated in 1988, the Human Rights Campaign for Political Prisoners was a coalition of families and friends of political prisoners, professionals, religious leaders, and community activists. These voices united to call upon the government of the United States to acknowledge that it holds political prisoners, to come into compliance with international standards regarding their treatment, and to proceed with their release. The Archives’ Lucasville/Skates collection is largely composed of bulletins representing George Skatzes, one of the Lucasville 5 currently on death row. Among the bulletins is the publication of “Big George: A Docudrama About the Lucasville Rebellion,” a docudrama written by Staughton Lynd tracing the history, circumstances and aftermath of the rebellion. The docudrama uses recordings from the rebellion and other testimony, much of which was disallowed at the trials of George Skatzes, to inform the dialogue and narrative. “Big George” was performed at Oberlin College and Bard College after its publication. The docudrama was eventually made into a play co-written by Staughton Lynd and Gary Anderson entitled “Lucasville: The Untold Story of a Prison Uprising” after Lynd’s same-titled book on the subject and performed several times. Namir Abdul Mateen, Siddique Abdullah Hasan, Bomani Hando Shakur, George Skatzes and Jason Robb are currently on death row and have continued to protest their convictions and advocate for prisoner rights. Freedom Now was a national organization committed to building a broad movement in support of human rights and amnesty for political prisoners and p.o.w.s in the USA. This collection contains materials related to Pelican Bay State Prison located in Crescent City, California. This collection includes audio as well as copies of the Pelican Bay Prison Express, a periodical created by an independent citizens solidarity group. The Bulldozer collective was formed in February 1980 when 4- 5 activists from various places in southern Ontario decided to put out newsletters (Prison News Service/ The Marionette) dealing with prison-related issues. This movement has been at the forefront of the Political Prisoners and Prisoners of war solidarity movement since the early 20th century. Initially a splinter group of the Political Red Cross, ABC continues to provide support for Anarchist and Social Revolutionary Political Prisoners through financial support and distribution of political literature. Break the Chains is a non-hierarchical collective working toward building an egalitarian society free of prisons. Their focus is on prison issues, including fighting state repression, prisoner support and prison abolition. 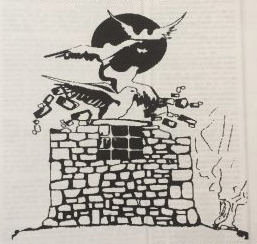 Founded by former political prisoner Ed Mead, Prison Art Newsletter was created to provide an outlet for the sale of crafts and artwork created by political prisoners. It draws articles and perspectives from voices inside of outside of prison walls on a variety of topics. The Anarchist Prisoners‘ Legal Aid Network (APLAN) is an Anarchist organization that provides legal aid to known anarchist prisoners and publishes the newsletter We Never Sleep. Critical Resistance seeks to build an international movement to end the prison industrial complex by challenging the belief that caging and controlling people makes us safe. It was formed in 1997 when activists challenging the idea that imprisonment and policing are a solution for social, political, and economic problems came together to organize a conference that examined and challenged what we have come to call the prison industrial complex.